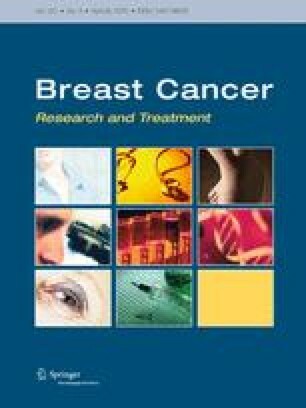 The present study was designed to assess the clinical characteristics and outcomes of metaplastic breast cancer (MBC) compared to general invasive ductal carcinoma (IDC) and the triple-negative subtype (TN-IDC). The study population included 35 MBC and 2,839 IDC patients, including 473 TN-IDC diagnoses, from the National Cancer Center, Korea between 2001 and 2008. The clinicopathological characteristics and clinical outcomes were retrospectively reviewed. Mean age of patients was 47.4 years for the MBC group and 48.3 years for the IDC group. The MBC patients presented with a larger tumor size (≥T2, 74.3% vs. 38.8%, P < 0.001), more distant metastasis at the first diagnosis (8.6% vs. 2.0%, P = 0.04), higher histologic grade (grade 3, 65.7% vs. 41.4%, P < 0.001), fewer estrogen receptor (ER), and progesterone receptor (PgR) positivity (ER+, 5.7% vs. 65.4%, P < 0.001; PgR+, 8.6% vs. 55.8%, P < 0.001), higher Ki-67 expression (35.5 ± 26.2% vs. 20.6 ± 19.8%, P = 0.024), and more TN subtypes (80.0% vs. 16.7%, P < 0.001) compared to the IDC group. Fifteen (46.8%) MBC patients and 260 (9.3%) IDC patients experienced disease recurrence with a median follow-up of 47.2 months (range 4.9–100.6 months). MBC was a poor prognostic factor for disease recurrence and overall survival in univariate and multivariate analysis (HR 3.89 in recurrence, 95% CI: 1.36–11.14, P = 0.01; HR 5.29 in death, 95% CI: 2.15–13.01, P < 0.001). MBC patients also experienced more disease recurrence (HR 3.99, 95% CI: 1.31–12.19, P = 0.01) and poorer overall survival (HR 3.14, 95% CI: 1.19–8.29, P = 0.02) compared to the 473 TN-IDC patients, as reflected by aggressive pathological features. Patients with MBC appeared to have inherently aggressive tumor biology with poorer clinical outcomes than those with general IDC or TN-IDC. The online version of this article (doi: 10.1007/s10549-010-0780-8) contains supplementary material, which is available to authorized users. This study was supported in part by NCC Grant 0610240.